Estee Lauder is here and even though I know that you've heard enough about it I won't stop talking about it *tongue out*. They currently retail at The Nail Studio in Victoria Island and had a really nice, classy, big event to celebrate this. At the event, the most gorgeous goodie bags were given out (I couldn't wait to get into mine when I received thus no pictures, sob. But this is a picture of what they looked like and there were a lot of them). I already posted about the lovely Clinique Lip Pop Lipsticks but that wasn't all; there were +Estee Lauder skincare & beauty products and a +Clinique UK mascara in them as well. I was really excited to receive these. Even though they are just sample products and *tiny*, they do contain a reasonable amount of product and I'm looking forward to trying them out. My skin is becoming pretty awesome thanks to me paying better attention to it but my dark spots have staged a resistance and are still very much a part of my life. I'm looking forward to trying out this serum. Fingers crossed for it. This is the #1 repair serum in the world so you know I'm not going to use this lightly. I've not touched it yet 'cos I don't want my laziness to disturb the results I can get with this. I've awesome combination skin so haven't touched this one. Remember how I say that anything that has mattigying on the label is a waste for me? This is a nifty little product. Apparently, it has 3 different uses - use on bare lashes for a slight black tint that keeps it lifted, perfect for a mascara base and use as a topcoat over mascara to set it and make it waterproof. The one time I used, I used it to set my brows and I LOVED IT. I don't know if it's because it is a sample size so has a shot wand but I really like the length of the wand and even the shape of the bristles. I've been using this a lot which is unlike me since I've been loving waterproof mascara recently. It really does seperate the lashes and I get really close to the root of the lashes. 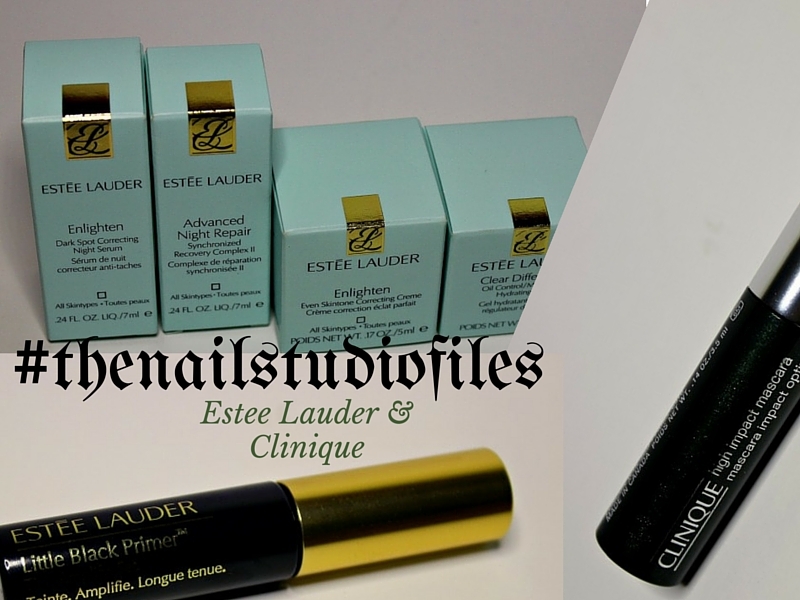 Of all the beauty items, the Estee Lauder Black Primer & Clinique mascara are my absolute favourite.